Swings remind me of my childhood. 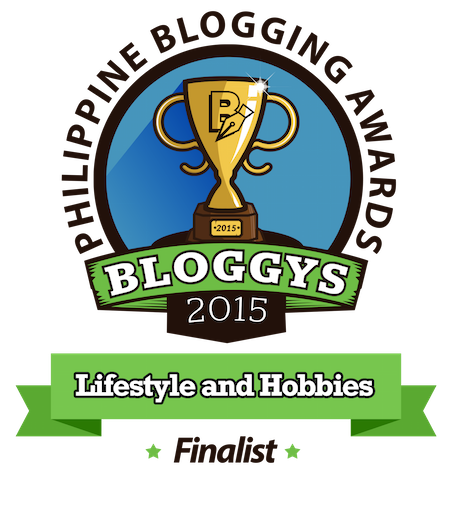 There’s something about them that makes me feel carefree and adventuresome. On a swing I can go as high as I can, with not a care in the world. On a swing I can get lost in my very own space. This super-cozy Swingrest Hanging Lounger was designed by Daniel Pouzet, co-architect and designer of Dedon Island in the Philippines. It is said to be the first product to come out of Dedon’s Outdoor Living Lab. It comes with a cute little table, perfect for resting your glass of wine or iced tea on! 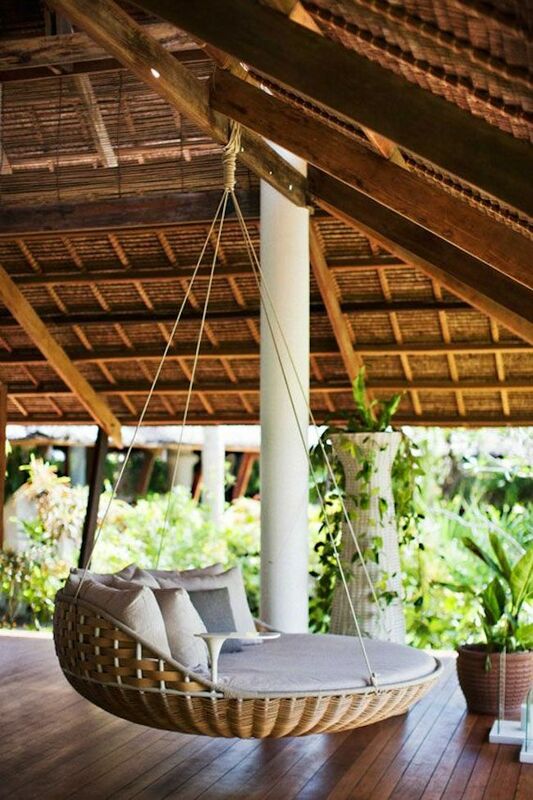 Have a look at Dedon Island here. This swing must have been a raft in its past life. But stacked with a matress and cushions, and suspended just a few feet above ground, it’s the perfect hanging daybed for daydreaming. The Swing Table by Duffy London invites adults to ‘play’. I can imagine enjoying a meal with like-minded friends here. 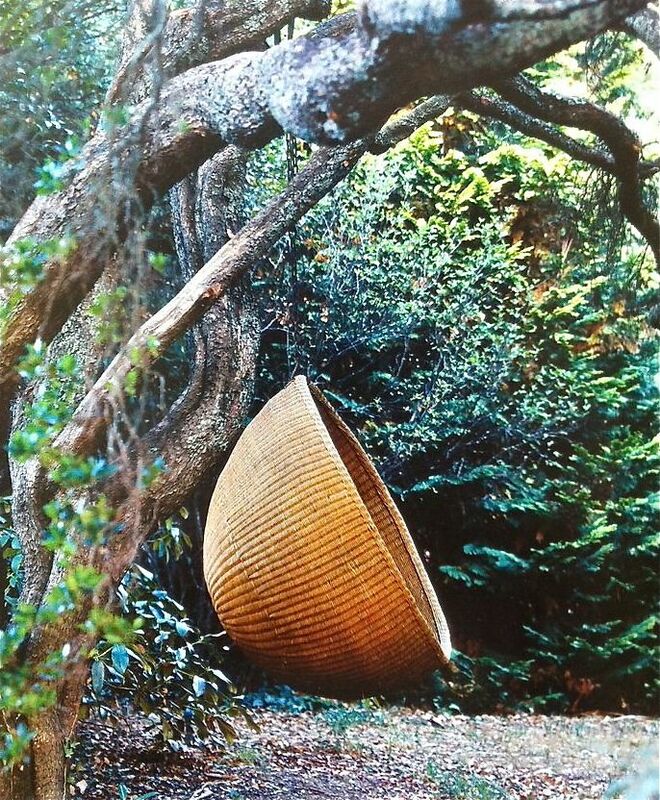 This rattan swing by Paola Lenti looks like the perfect seating area for reading a book on a hot sunny day. This basket-like swing reminds me of Moses’ crib. I bet I won’t have a hard time falling asleep in this one. “Swinging develops the sense of balance and body perception. 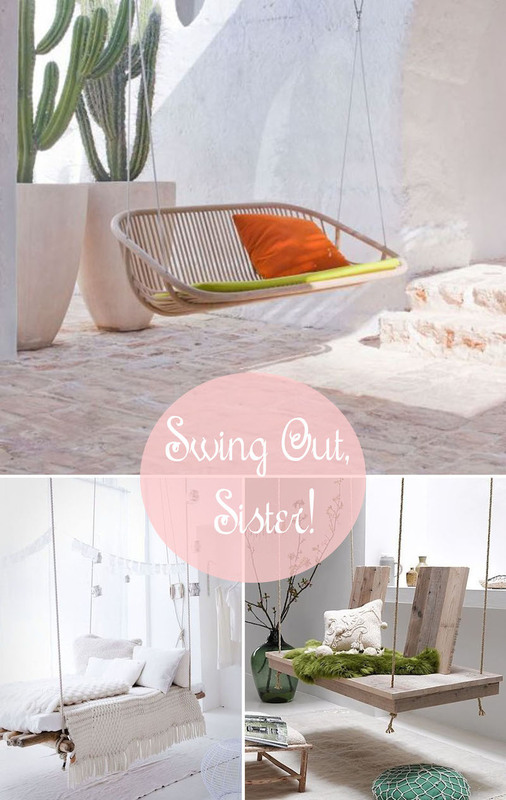 It also brings a feeling of well-being and relaxation,” says Ikea of their PS Vinga swing. I couldn’t agree more! 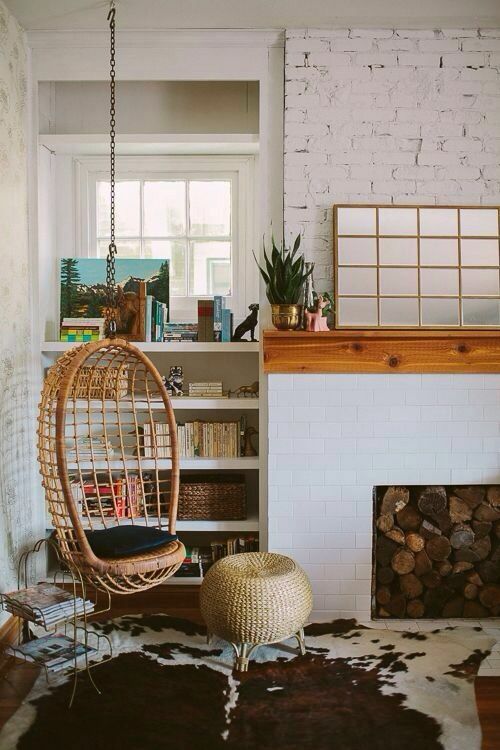 At first glance, this rattan swing looks like a birdcage. But I’ve sat on one of these and found it surprisingly cozy. 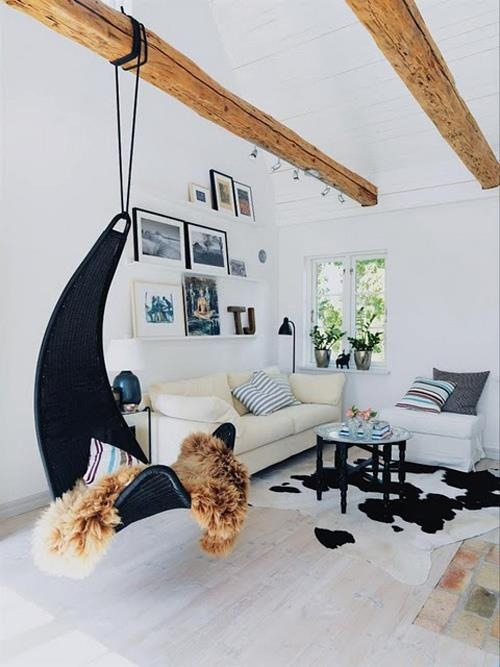 A traditional swing made from a simple cushioned plank and sturdy ropes offers a playful respite from a very grown-up room. These last two look like DIY projects. The idea may be simple, but I’m pretty sure the relaxation that comes with using these bench-like swings is priceless.